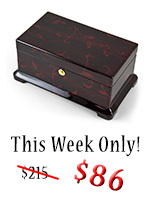 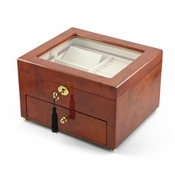 No one will be able to resist their curiosity when they catch a glimpse of this charming music box. 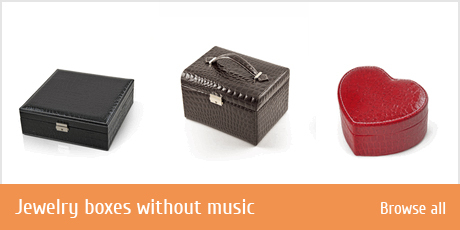 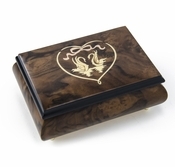 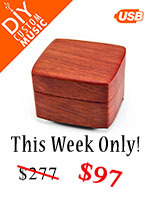 Fall in love with this beautiful hand-made Italian musical box. 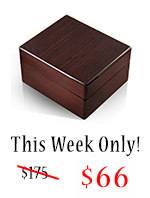 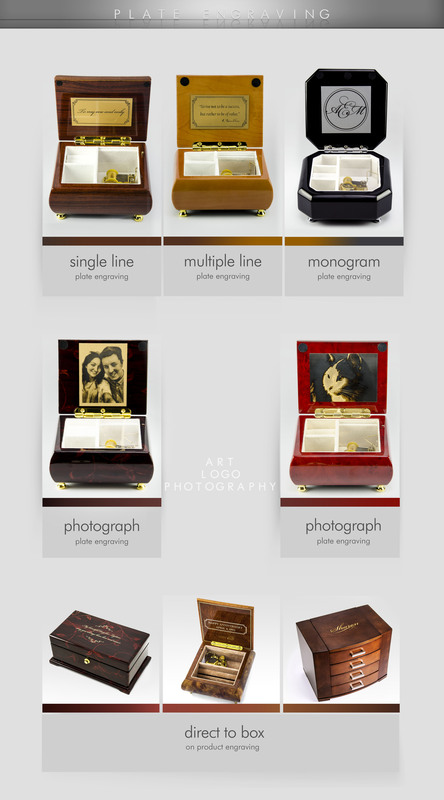 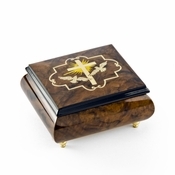 This unique and sophisticated music box features a very subtle & artistic frame. 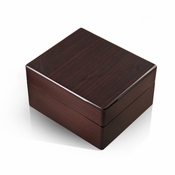 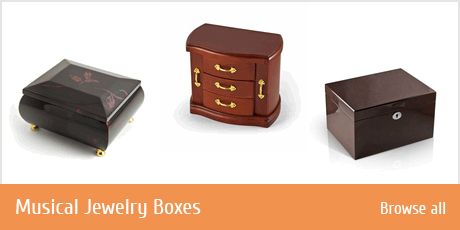 A very much contemporary wood inlay design that illustrates beauty of contrasting woods. 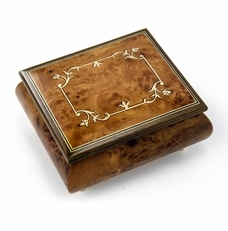 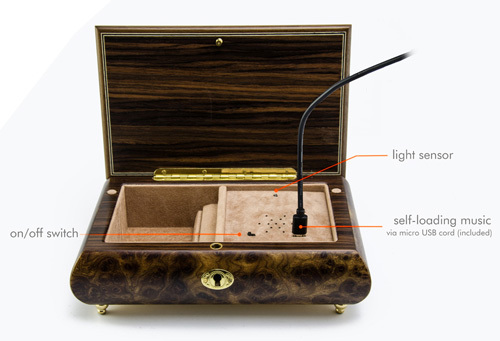 Constructed of solid burl-elm and rosewood, this gorgeous music box was entirely hand-made in Sorrento, Italy, the birthplace of the art of wood inlay. 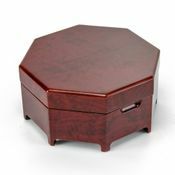 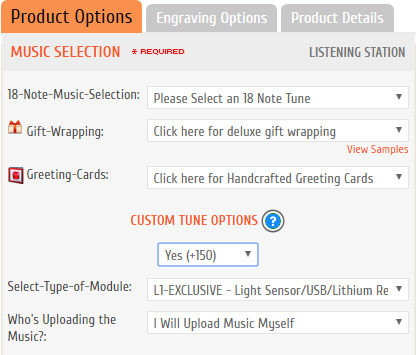 Inside this magnificent music box, you'll find the joyful sound omitting from the 18 note mechanical movement that can play any song from our extensive library of tunes.